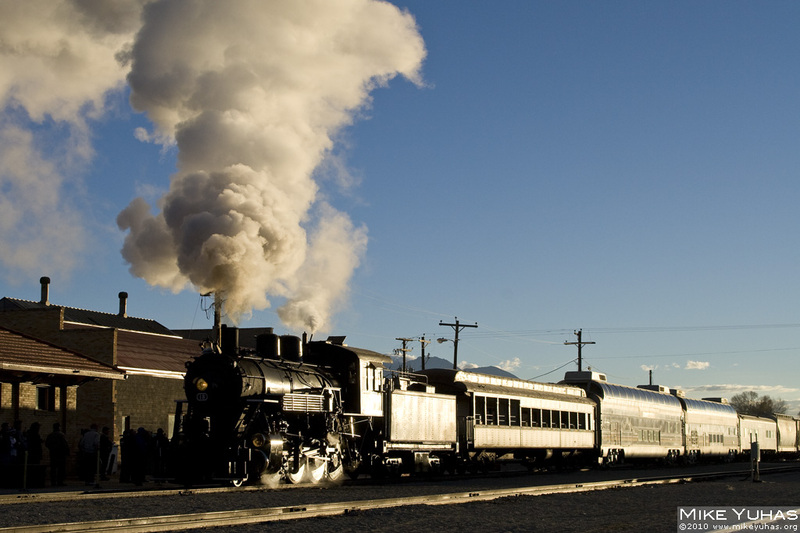 A San Luis & Rio Grande mixed train arrives at the Alamosa Depot for a trip to Antonito. The special passenger train was run for attendees of the Tourist Railroad Association's annual convention. Ordinarily a local freight would take the cars to Antonito; that regular freight was annulled and the covered hoppers added to the excursion.